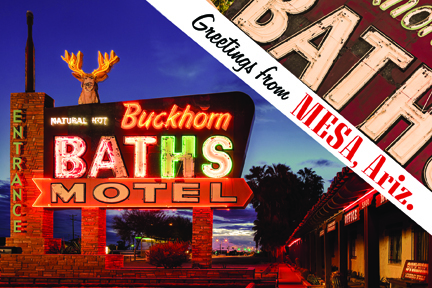 Join Marshall Shore, the Hip Historian and Vic Linoff of the Mesa Preservation Foundation on a guided bus tour of Mesa's main Drag. View and photograph these monumental signs. A portion of the proceeds will benegfit the Arizona Vintage Sign Coalition and restoration of the Watson's Flower Shop sign.